Digital advertising technology company RhythmOne (1R) has acquired “certain assets” of marketing platform RadiumOne. According to a press statement, the transaction was completed on 26 June 2017. Marketing has reached out RadiumOne for additional comment on the value of the acquisition. 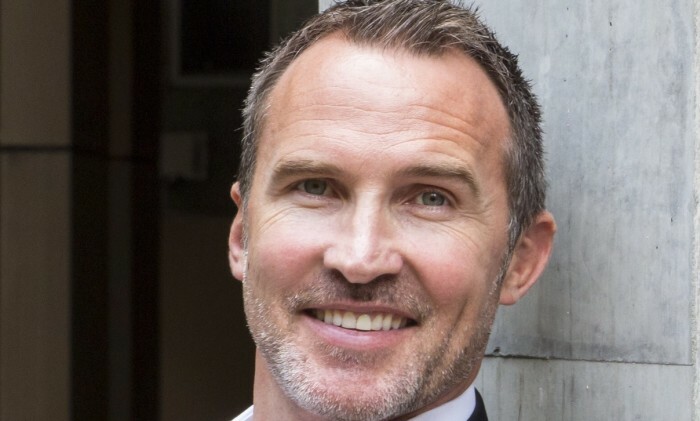 Following the transaction, RadiumOne global president Kerry McCabe (pictured) has stepped down from the role. McCabe is credited for starting the RadiumOne business across APAC. In a statement to Marketing, the company shared that in September last year, McCabe moved into an international role, with the plan to re-locate to the US. Due to personal reasons however, it was decided that he would stay in Australia. “Some months back he advised the RadiumOne Board that he would depart the business immediately upon completion of this transaction. Kerry leaves fully supportive of the transaction,” a RadiumOne spokesperson said. The transaction allows 1R to gain access to unique consumer insights through RadiumOne. This includes audience segmentation and targeting technology. It also looks to access premium demand relationships to create value for demand and supply partners. According to the agencies, the acquisition will result in 1R’s growth to 525 employees globally, with 200 professionals coming from RadiumOne. Through the move, the company looks to instantaneously scale the company’s programmatic operations. It will also geographically expand its North American footprint, providing a significant presence in Europe and Asia Pacific. Through the acquisition of RadiumOne assets, 1R hopes to be a global player with a complete end-to-end technology stack within the digital advertising ecosystem. It also looks to strengthen and extend 1R’s programmatic platform. “One of the biggest challenges facing advertisers today is how to leverage the rich data they get from customers throughout the buying cycle. RadiumOne’s powerful data-driven marketing platform combined with RhythmOne’s massive, high-quality supply footprint will truly enable brands to develop and activate segmentation and targeting strategies based on unique consumer insights,” Richard Nunn, CRO of RhythmOne, said. “This union will allow two advertising technology leaders to create something truly differentiated in the market. The future of advertising is not about measuring impressions, but about driving real engagement,” Dave Zinman, COO of RadiumOne said. Zinman added that together, RadiumOne and RhythmOne will provide insights, prediction, campaign targeting, execution and measurement that is relevant to the consumer, delivers outstanding ROAS and, crucially, results in real business outcomes for advertisers. The announcement comes in the midst of plans to introduce an entirely new lineup of Android powered-smartphones throughout the yea..
Out-of-home advertising medium providers Clear Channel Outdoor is rolling out an interactive mobile advertising platform globally ..